Back in high school, I was in the musical Annie, though not as Daddy Warbucks (as my bald head would suggest). Back then, I played the part of President Franklin Delano Roosevelt, whose part was sadly cut from the 2014 movie version for obvious reasons. But since I’m familiar with the musical, I went in with high expectations. I was okay with the idea of a modern remake but I was hesitant with some of the casting (Cameron Diaz mostly). 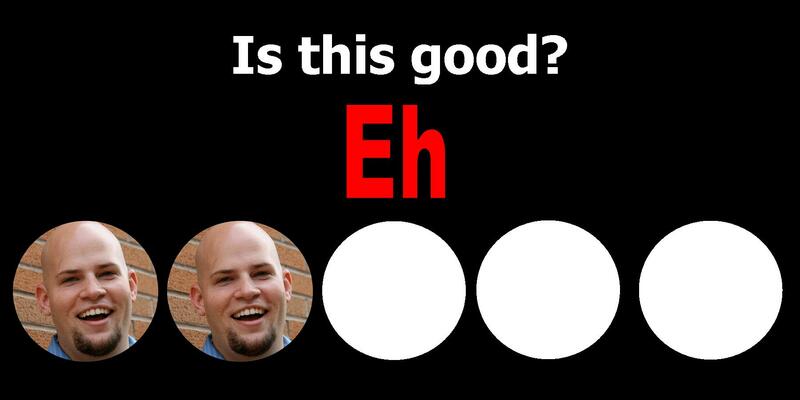 Did this remake succeed? The gist. Quvenzhane Wallis (Beasts of the Southern Wild) stars as little orphan Annie, who lives with a group other young girls in the home of the always-drunk Miss Hannigan (Cameron Diaz). While out and about, Annie is almost hit by a car but is saved by the millionaire William Stacks (Jamie Foxx). Stacks is running for public office and notices a huge bump in the polls after saving Annie, so his team decides to take things further and offer to let Annie stay with them in Stacks’ huge penthouse suite. Included in Stacks’ team is his good-natured assistant (Rose Byrne) and do-whatever-it-takes campaign manager (Bobby Cannavale). Very little. Some movies should not be remade. The highlight of this is Wallis, when she’s not singing. She’s not a bad singer but the musical numbers don’t have anything special about them. She’s adorable as the lead though and definitely carries the movie. Aside from her, Rose Byrne does an admirable job and seems to walk the fine line of being in a musical but also believable. Annie is known for sweeping musical numbers that tug at your heartstrings. “Tomorrow” is supposed to make you feel for little Annie. Here though, we get a shallow interpretation with strange and overproduced musical numbers that lack any real heart. Almost every song features a stomp/clap beat and ridiculous choreography that doesn’t align with the rest of the film. Half of the time that our leads would burst into song, I chuckled because it was jarring. In one of these moments, Cameron Diaz’s character reacted with “What? Are you singing to me?” and the self-referential nod only emphasized how ridiculous this was, but not in a good way. There are also new original songs added in, mostly to feature Jamie Foxx, and these strange R&B ballads stick out like a sore thumb. If the music in this movie doesn’t work, the movie falls apart. And it does. Diaz is ridiculously over the top, Cannavale is one-dimensional, and even Wallis struggles to make this story work. A disappointment. Go see the musical or rent one of the old movies. This modernization shouldn’t have been made. 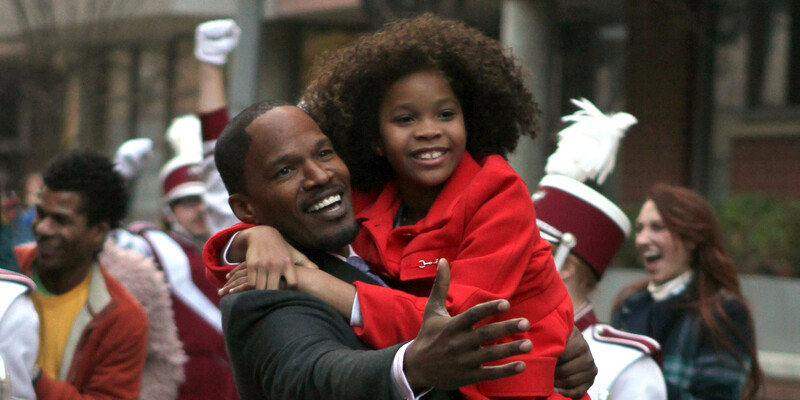 Even cute little Quvenzhane Wallis couldn’t save this movie. This entry was posted in Movies and tagged adam ryen daniels, annie, bobby cannavale, i am your target demographic, iaytd, jamie foxx, little orphan annie, movie review, movies, musical, quvenzhane wallis, rose byrne. Bookmark the permalink. I just kept thinking why and awful as watching it. The musical numbers are so flat. I’ve just seen it and while the movie has flaws and many of the tunes aren’t engaging me yet, the original, “Who Am I” is a total winner. I’ve been listening to it over and over since I took my kids to the discount showing this past weekend.